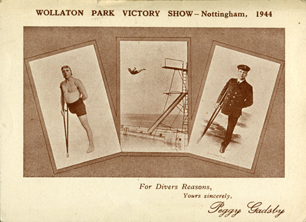 Frank 'Peggy' Gadsby, the famous one-legged high diver, had a special picture postcard card produced to mark his appearance at the Wollaton Park Show held in August 1944. Sold to raise money for the 'Comforts Fund' there must have been many handed out at the Show. 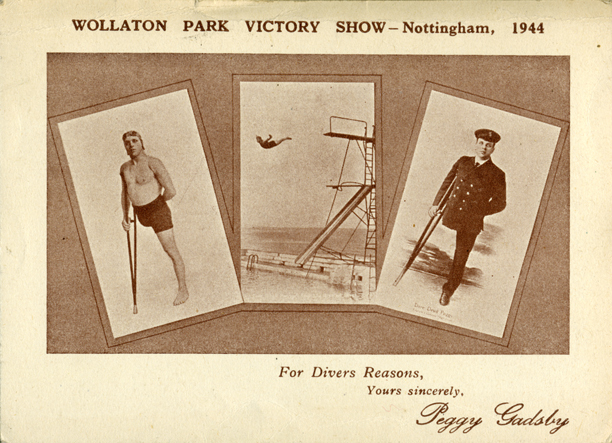 John Hibbitt's recent acquisition of one of these cards prompted us to discover more about that 1944 Show and also about Frank Gadsby. There was quite a lot of source material to draw on when we turned our attention to Frank Gadsby and his two sons, 'Dare Devil' Leslie and 'Dare Devil' Ken. Our own article reveals the reason Frank went into this particular line of work and is, we believe, to date, the most comprehensive account of his life. In the late 1790s Joseph Lowe, a prominent Nottingham businessman, bought the land which made up the Highfield estate and in 1798 he commissioned William Wilkins (the elder) to design and oversee the construction of Highfield House. For the next one hundred and twenty years the house and surrounding land effectively remained within the Lowe family until it was all sold to Sir Jesse Boot in November 1919. Our short article offers a brief account of the Lowe family along with the various people who lived there after Edward Joseph Lowe moved out in 1881. 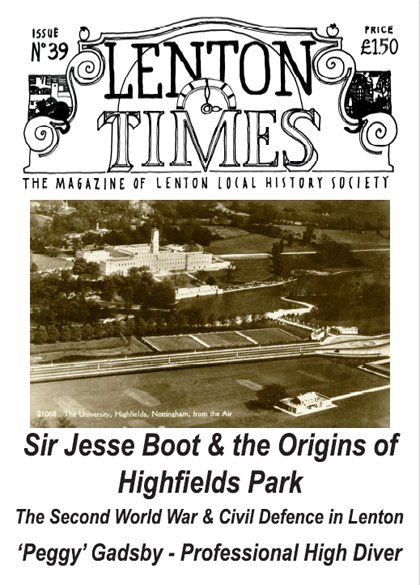 After a thumbnail sketch of the life and business career of Jesse Boot we pick up the story in 1919 when Sir Jesse acquired the Highfield Estate with a view to constructing a model village here for his workers. It would have been something along the lines of Bournville in Birmingham and Port Sunlight in the Wirral, with a new factory complex on part of the land. The kibosh on these plans came the following year when Louis Kroh Liggett, chairman and founder of the United Drug Company of America, approached Boot with proposals for their two companies to amalgamate. Boot agreed and found himself £2,274,600 the richer but no longer in sole charge of the company. As Liggett was not interested in Boot's plans for Highfields Sir Jesse had to come up with an alternative use for the estate. He embarked on a number of major projects designed to benefit his fellow Nottingham residents. He gave part of the Highfields Estate as a new site for Nottingham's University College and also funded and closely 'supervised' the erection of the Trent Building - the new college facilities. The rest of the estate would be made into a public park along with playing facilities for all manner of different sports. Boot also had University Boulevard, a major new route between Nottingham and Beeston constructed. 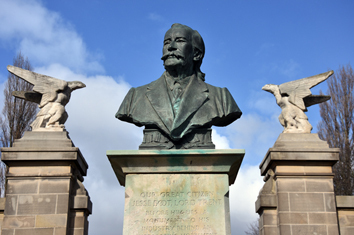 Plans for both the park and the new road were overseen by a group of Nottingham alderman who administered a trust fund set up by Sir Jesse; by now Sir Jesse Boot was crippled with rheumatoid arthritis and living in Jersey, over in the Channel Isles. Drawing on contemporary newspaper accounts and the minute book of the Sir Jesse Boot Trust Fund (lodged at Nottinghamshire Archives) we have constructed a detailed account of what went on out at Highfields in the early 1920s. For most people the mention of Civil Defence and Air Raid Precautions [ARP] during World War II probably conjures up images of the evergreen BBC comedy 'Dad's Army' and Warden Hodges in particular. Yet the volunteer effort that went into this national organisation was subject to real discipline, hard training and long and dangerous hours of mainly unpaid work. 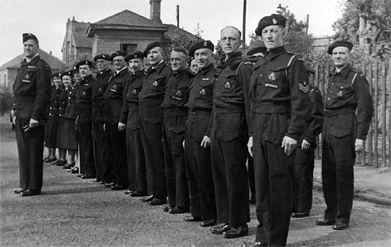 In the course of the war it is believed that almost two million people served in Civil Defence. Our article looks at ARP service in Nottingham during the Second World War with a particular emphasis on what went on in Lenton. The City Council's Emergency Committee minutes (1939-45) and the occasional news item in the local newspapers were, until recently, the only sources of information about Nottingham's ARP provision during the Second World War. In November 2015, however, the general public were given access to the 'National Register' originally compiled in September 1939. This survey contains details of everyone in England and Wales, excluding those already serving with the armed forces. After writing up the relevant information about each person some of the compilers also chose to append additional notes about those who had already volunteered to help with ARP and the like. However, this extra information was only recorded for some of Lenton's residents. Selecting an area that did have this extra information we have transcribed the relevant entries for 'The Drives' - the streets running between Derby Road and Park Road consisting of Harlaxton Drive, Harrington Drive, Rolleston Drive, Allington Avenue, Welby Avenue and Harrowby Road. For each person listed, after details of the address, the register records the individual's surname, their first name and any additional initials, their gender, the date of birth, marital status, and occupation. On a facing page, only part of which has been copied, the additional information was added. Our transcription adopts this same order. These registers are currently accessed via digital copies made available on the findmypast.co.uk website. It should be noted that as such records normally remain closed for 100 years, the details of those listed aged twenty or under have generally been blanked out on the digital copy. Leslie Talbot Green now lives in the Devonshire town of Kingsbridge but he grew up here in Lenton. He recalls life in Lenton while he attended Mundella Boys Grammar School during the Second World War. Highfields Park has been the home of Nottingham Croquet Club since 1929. The Club now has 120 members coming from all walks of life: men and women, young and old. Two of its younger members are current World Champions. 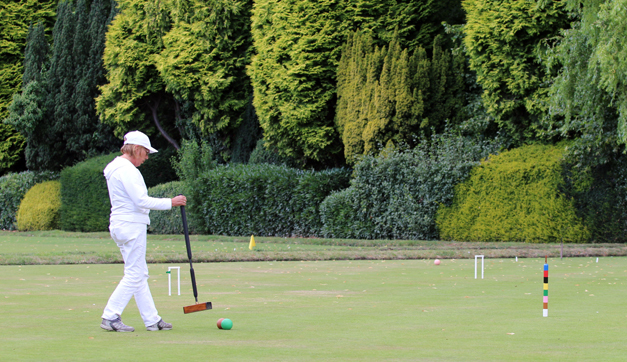 Croquet is fairly easy to play and the Club holds regular Open Days and course where beginners can learn to play. For more details check out the Club's own website www.nottinghamcroquet.org.uk. Mettham Street is a short section of road off Lenton Boulevard that consists of blocks of late nineteenth century terraced housing. At its far end is a pedestrian access point into the primary school now called Edna G. Olds Academy. Before the school came along in the 1960s this same access point would have led into the Mettham Street Works of Charles Cooke (Engineers). 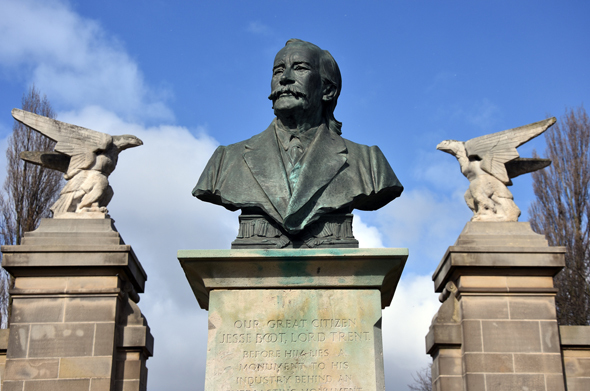 Our article reveals a little about Charles Cooke but initially focuses on his father, William, and his extensive range of business activities in the Nottingham area during the late nineteenth and early parts of the twentieth centuries. Once the payment is confirmed, we will send you details of the download link. The link will be available online for 2 weeks from the date of notification.